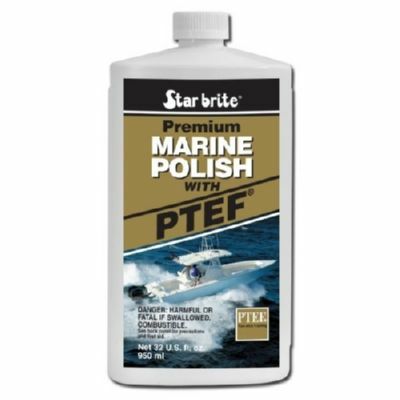 STAR BRITE / PREMIUM MARINE POLISH WITH PTEF 500 ML. The most durable polish for all painted, fiberglass and metal surfaces. Easy to apply. Provides a beautiful gloss that reduces drag whilst repelling dirt, grime and stains. Ideal for all fresh water and salt water marine applications.